The month is just speeding along, isnt’ it! 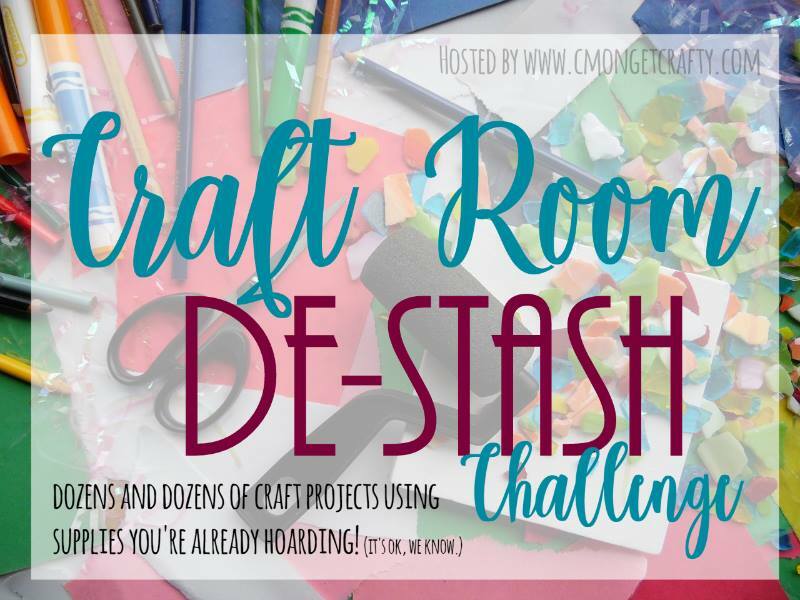 Here we are, the third Monday of the month, which means it’s time for the monthly Craft Room DeStash Challenge. Which means, I’m once again digging into my fabric dresser to use up some of my fabric stash. 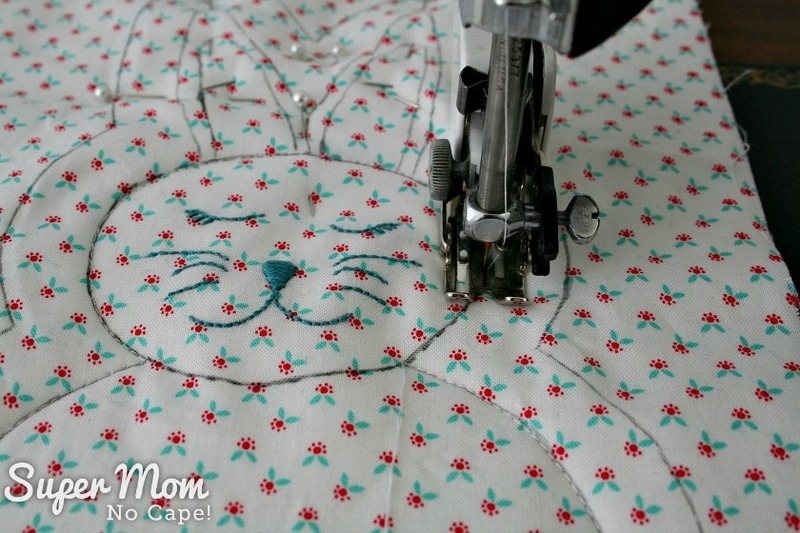 And I’ve got the most adorable Rag Quilt Bunny Tutorial to share with you. Can you stand the cuteness! In the process of making these Rag Quilt Bunnies I managed to use up 3 fat quarters of small print fabric, approximately half a yard of a white thrifted sheet for making sample bunnies plus lots of scraps of quilt batting leftover from other projects. These are the fat quarters I pulled from my stash. As you can see, two of them weren’t even full fat quarters! If you’ve been quilting for any amount of time you may have seen the animal rag baby quilts made from the vintage (and apparently very rare) Simplicity Pattern #4993. It must be rare because there’s one for sale on Ebay right now for $54.95! Back then we were living on a Master Corporal’s pay and while it paid the bills, it didn’t allow for any of life’s little luxuries. Our neighbor, Adrienne, knew that I occasionally took on sewing projects to earn extra money. One day when she popped by for coffee, she brought along a cute little rag quilt bear that she’d received as a baby shower gift. It was about 10″ tall and kind of floppy but her little one absolutely loved it. If you’ve ever lived on a military base, you know that there’s usually a population explosion that occurs nine months after the end of every major exercise. She explained that she had a bunch of baby showers to go to and wanted me to make a dozen of those rag bears. However, they too were living on a Master Corporal’s pay. Buying gifts for all those baby showers wasn’t in their budget so she proposed a swap. She knew that I loved the tole painted items she made to sell. After we’d worked out how much it would cost in materials for me to make the bears and how much it would cost for her to make one of her tole paintings it worked out pretty much even. The final deal was… I would make her 12 rag quilt bears, she would paint one of the wooden hat boxes she sold in a design of my choice. I still have the tole painted hat box. But I’m sure by now, all those bears have been loved to bits and are no longer around. Also no longer around is the pattern I created to make them. So I’ve designed a new pattern and since Easter is coming up I decided to make rag quilt bunnies for this tutorial instead of rag bears. Note: Patterns for a rag quilt bear, kitten and puppy are in the works. I always want my patterns to be easy for people to complete, so I’m trying out different ideas for faces, ears and tails. 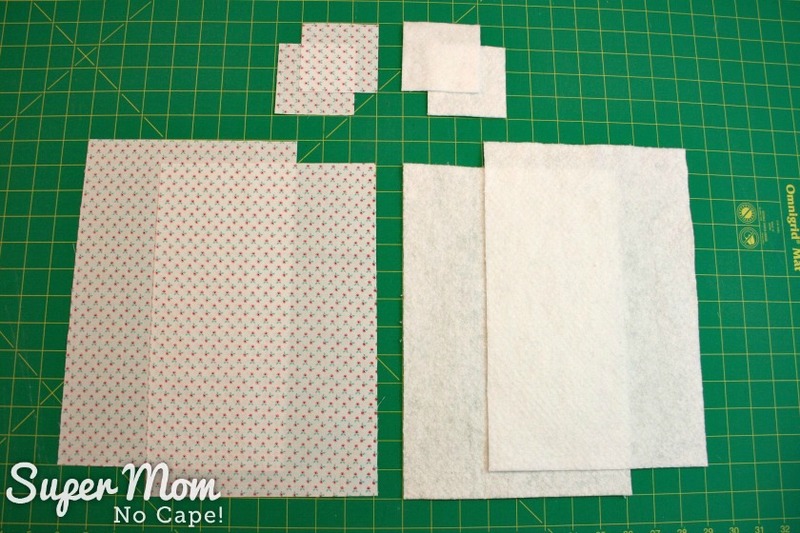 Next, cut two pieces of fabric 8″X12″ and two pieces 3″X3″. Then cut two of cotton quilt batting 8″X12″ and 2 at 3″X3″. Trace the pattern on to one of the pieces of fabric. 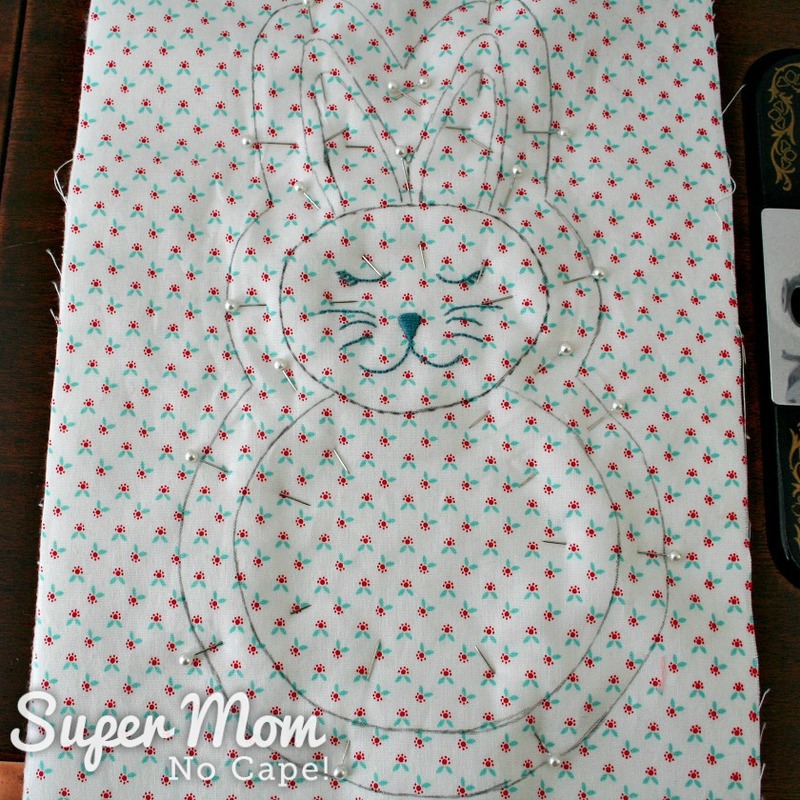 You will trace the entire pattern… both the cutting lines (solid) and the sewing lines (dotted) as well as the bunny’s face. 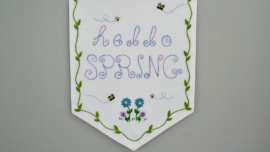 If you are using lighter colored fabric, the easiest way to trace the pattern on to the fabric is to use a light box. Last summer, I purchased a Huion LED Light Pad. And I must say, it is one of the best craft room investments I’ve ever made. 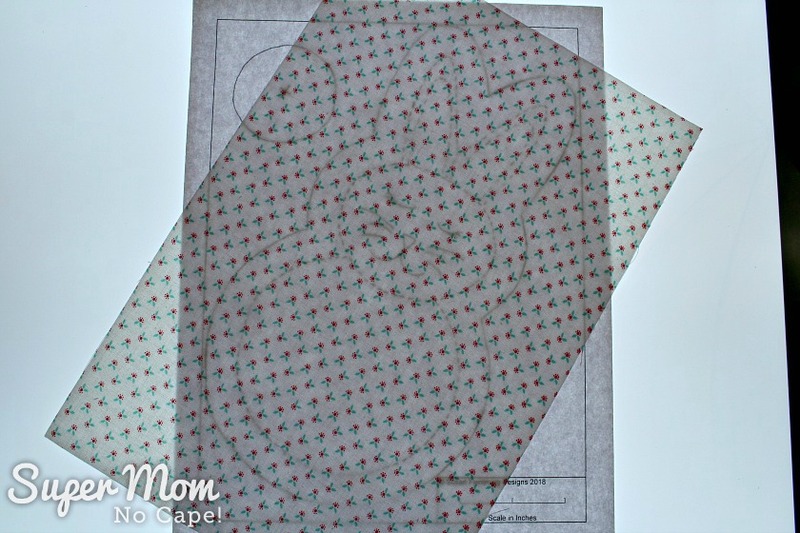 Alternatively, you could tape the pattern and fabric to a window and trace it that way. If you’ve chosen a darker fabric that the pattern isn’t visible through, place the pattern on top of the fabric and insert a piece of embroidery tracing paper between them. The eyes, mouth and whiskers are done in backstitch. Use satin stitch for the nose. On this white print fabric I chose a floss a few shades darker than the blue in the tiny flowers. 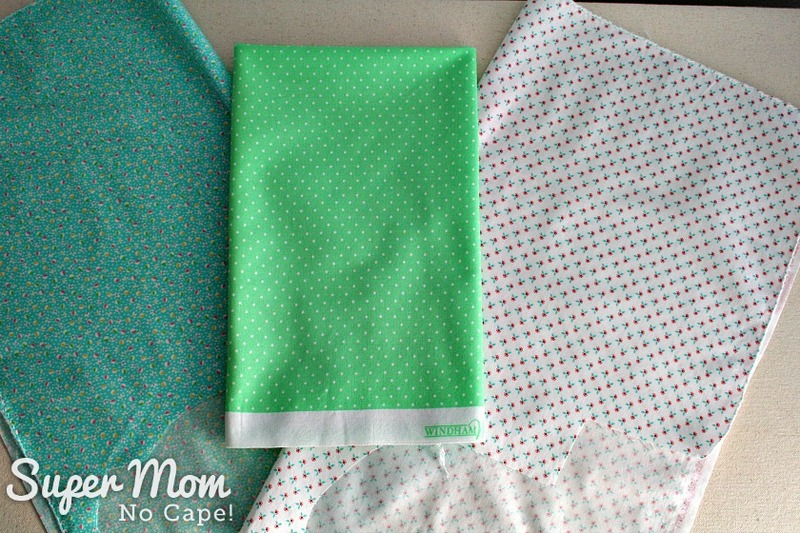 For the green bunny and blue bunny, I chose a floss color that was a few shades darker than the fabric. If you don’t usually knot your floss when embroidering, please be sure to knot it for this project to make sure that the stitching doesn’t come out when washed. 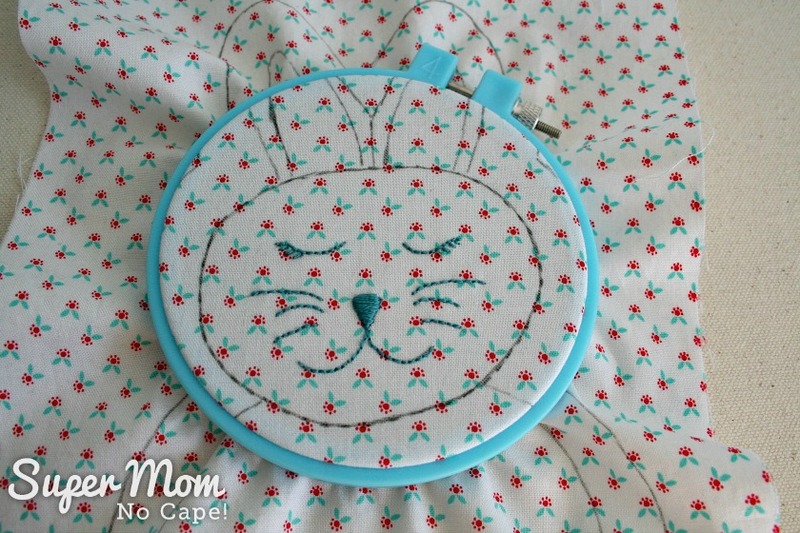 If you don’t embroider, the face can be left blank and the bunny will still be really cute. Next, you’re going to create a quilt sandwich. With the second piece of fabric wrong side facing up, layer on the 2 pieces of batting. Place the embroidered piece right side facing up on top. Sew on all the dotted lines as indicated on the pattern piece. Note: When I was tracing the pattern, I started out making all those little dots but gave up and then just drew a solid line. If you do the same, just remember that you’re sewing on the inner lines. The outer line is the cutting line. 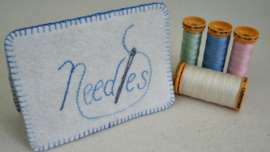 Begin by inserting your needle at the neck. 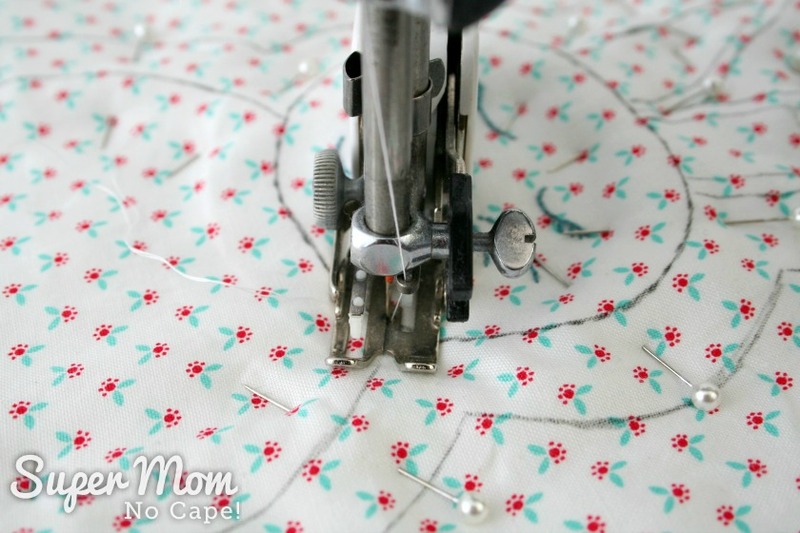 Make sure to draw the bobbin thread up to the top so that it doesn’t get tangled in the stitches on the back. 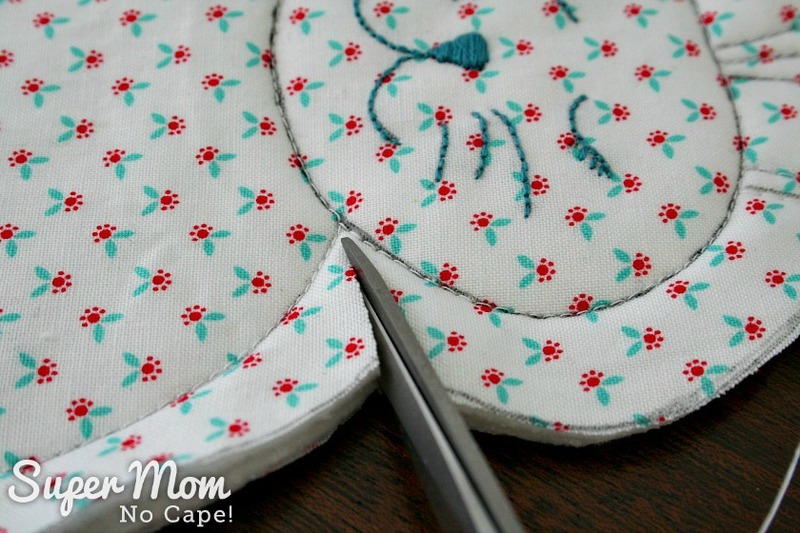 Sew around the body of the bunny. Once you get to the other side of the neck, turn and sew around the head. Sew around the outer ears. Then sew around the inner ears. The trick to sewing around the tight corners on the ears is to reduce your speed and sew really slowly, lifting the pressure foot with the needle in the down position and turning the fabric as necessary. End off. Knot all the threads and bury them between the batting layers. Following the cutting line (the solid line on the pattern) cut through all layers to cut out the bunny. 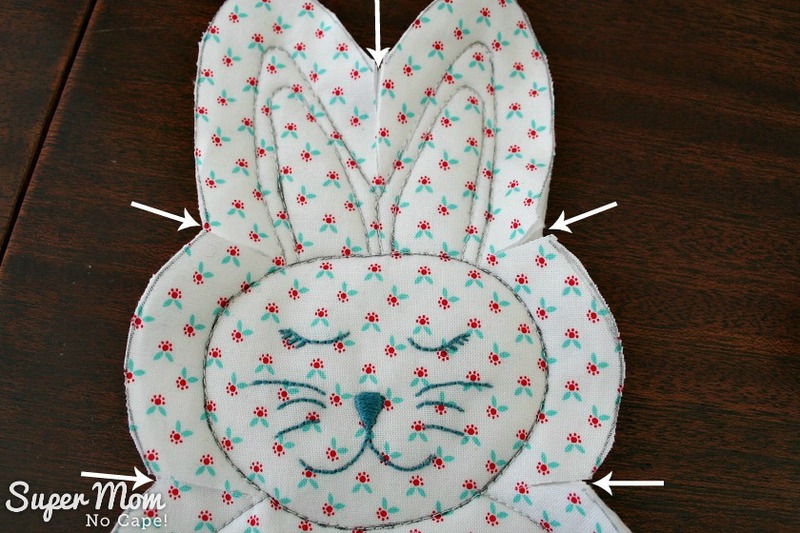 Make snips with a scissors approximately 1/4″ to 3/8″ apart all the way around the outside of the bunny being careful not to snip through the sewn lines. Once those cuts are made, continue clipping all the way around the bunny. 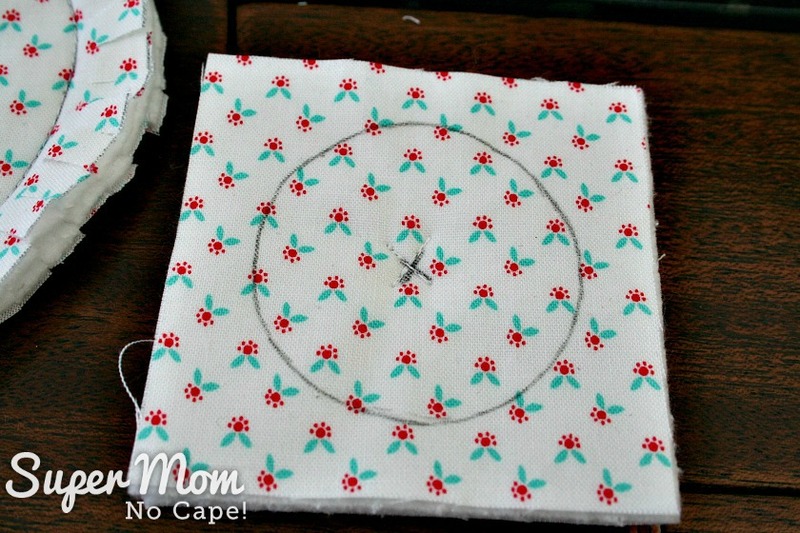 Trace the circle from the pattern onto one 3″X3″ square of fabric. Layer the fabrics and batting as you did for the body of the bunny. 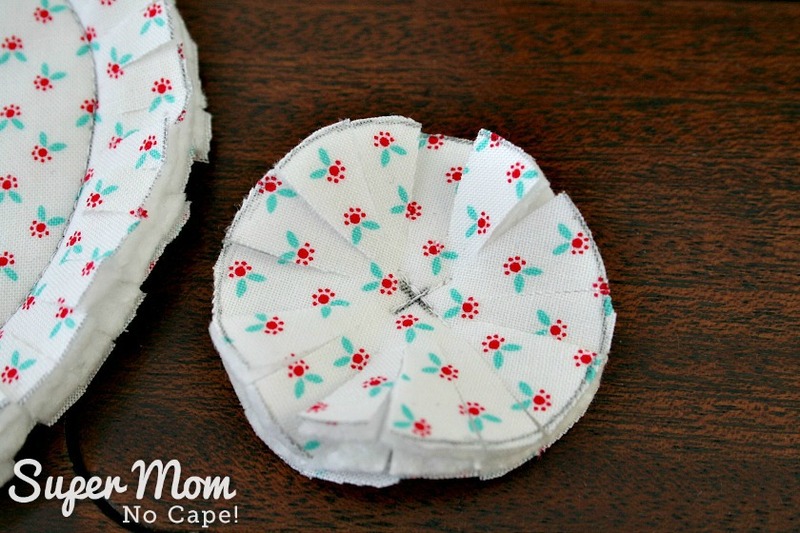 Sew an X in the center of the circle. Cut out the circle, cutting through all layers. Make cuts about 3/4″ deep all the way around the circle without cutting into the center. The final step is to wash your bunny in hot water and dry in a dryer. I threw mine in with a load of tea towels. Now bunny’s fur is all fluffy! And so is her tail! I love her and all her bunny friends! I had so much fun creating them. For January’s Destash, I created this sweet Fabric Cone Tutorial. 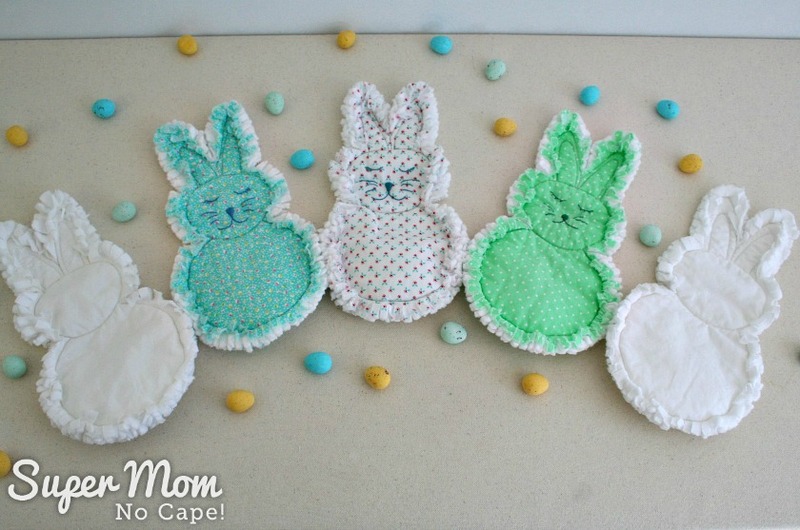 Done up in Easter themed fabric or pastels they’d be perfect to hang on an Easter tree! 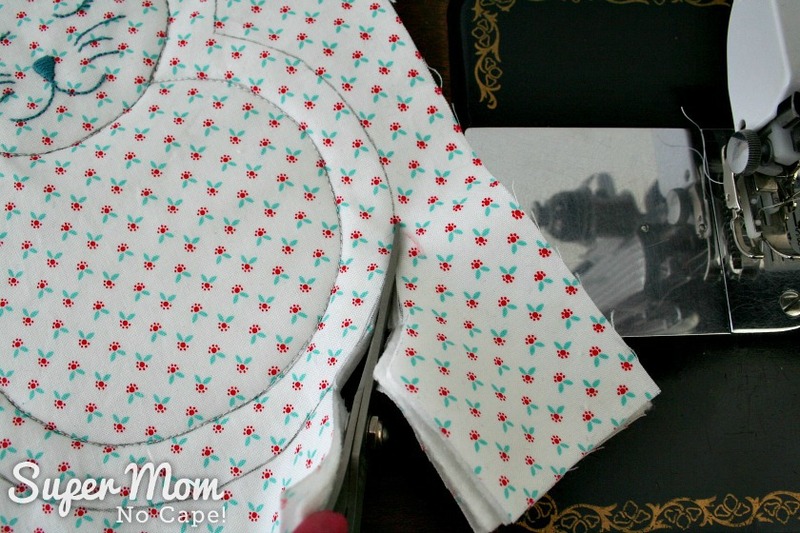 Then in February, I shared a pretty Tablet Pouch Tutorial. It’s just the right size to fit a tablet or iPad but could be used for all sorts of things. I also made a Sashiko embroidered version complete with free Sashiko pattern. These would awesome Mother’s Day or Teacher gifts. If you’d like to join in the Craft Room De-Stash Challenge, you can request to join our Facebook group here! 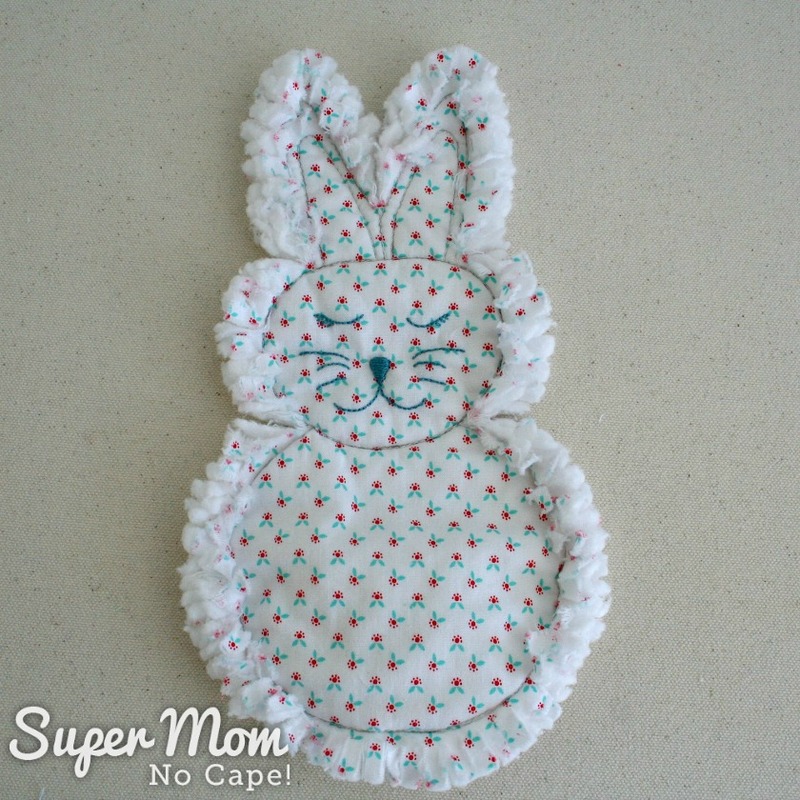 Pin this so you can find it again when you want to make an adorable Rag Quilt Bunny Softie for one of the littles in your life by clicking on the Pinterest button underneath the post. Beyond adorable! I don’t quilt or sew but I certainly appreciate the art. You are very creative. Thanks for sharing. Thank you Donna! What a sweet compliment! My goodness, how SUPER adorable!!! I love your little bunnies! I can’t see how a bear could be any cuter! The way you have them placed in the photo, they look like a garland. Are they forming one? No matter. I love them, and love the way they all fluffed up in the dryer. Thanks so much Florence! They do look like a garland, don’t they? But no… I just arranged them that way so they’d all fit in the frame. I love the way the fluff up in the dryer too. It’s a little like magic. Those are adorable. I’ll bet they are super cuddly too. Thank you Mary! They’re super cuddly the perfect size for little arms. Aw, these are so darling! I love the soft, “fluffy” edges. And that tail? The perfect touch! 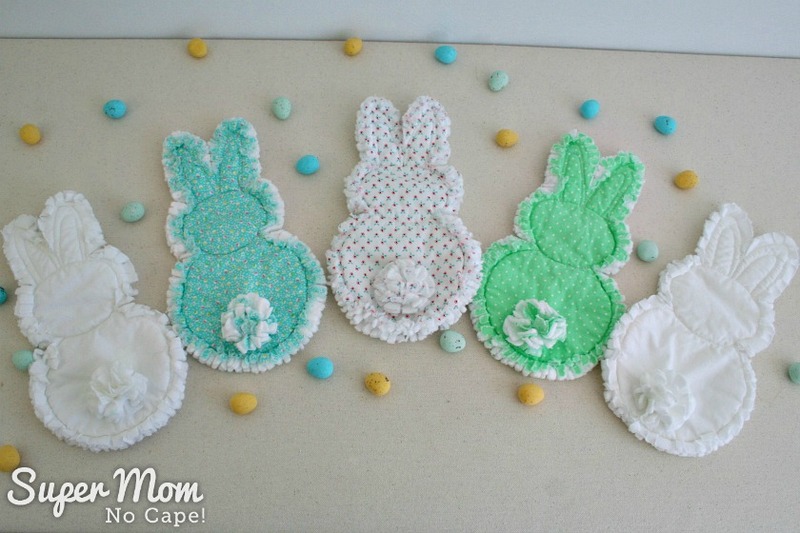 As one of your commenters asked are you making a garland?, if not sure could, would be even more adorable than one bunny. Such a wonderful project and so many ways this could be used and changed to a bear or other critters possibly. Very smart of you how you made this bunny. Not sure will be making them this year but have printed out all so can be made any time the urge strikes me, never know when that will be. I craft/create on spontaneous urges. Organized all my fabric recently so am sure have some appropriate fabric to make these, just need some quilt batting. So glad you shared this great project. Thank you for your wonderful comment JaneEllen. I arranged them that way so they’d fit in the camera frame when taking the photo but they do look like a garland. They could be made into a garland, but I think a very heavy interfacing would need to be added between layers of the batting to make them stiff enough for a garland. Happy Spring and Easter to you too! These are so adorable! And I enjoyed reading your story about living on a military base! Thank you so much Roseann for your sweet comment about the bunnies! I love these so much, your faces are just darling. Pinned for later! Thanks so much Emily! The faces do make a person smile. My disclaimer, I love bunnies. This rag bunny is so precious. 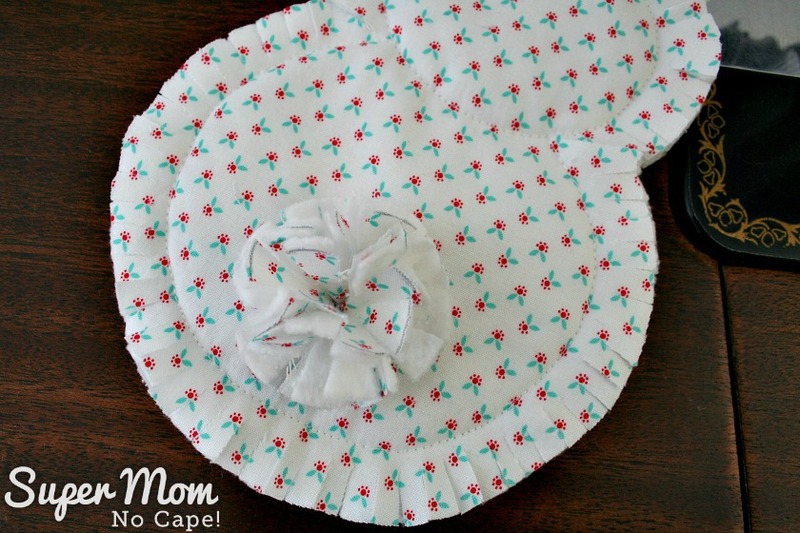 These are adorable and would be so easy for moms to carry in the diaper bag or for kids to carry around too. Pinned. Thank you Erlene! You’re right they would be a great thing to carry in the diaper bag. And for kids to carry around. That’s really cute! Thanks for sharing. These are super sweet! Love the little faces! 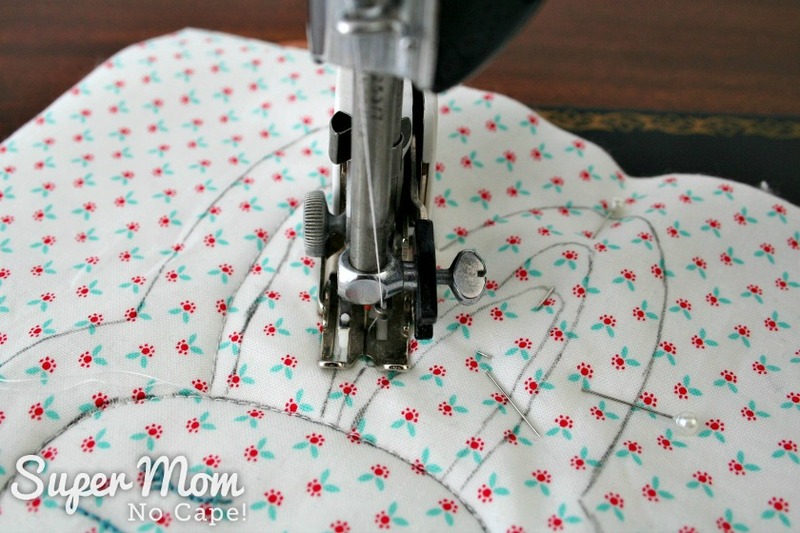 This seems like a great project to learn basic rag quilting. Thanks so much Lydia! I love their faces too. It took me a few tries to get them just right. 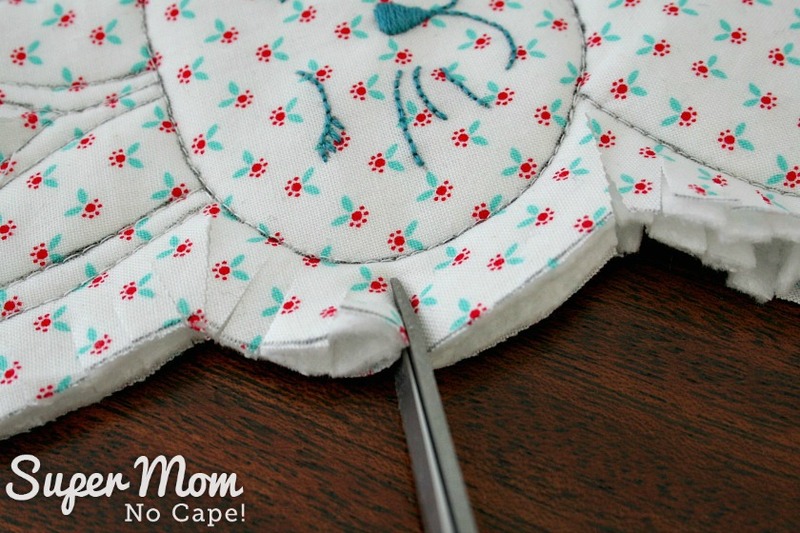 And I think you’re right… they could be a fun way to try out rag quilting for the first time. Absolutely adorable! Thank you for sharing your how to – I think I’ll make a couple of these for our grandson to play with. Thank you Mary Anne! Your grandson will love them! Those are such darling bunnies! I love how soft and fluffy they look. Pinned. Thank you so much Mother of 3! And thanks for pinning! Thanks so much Leanna. What a lovely compliment! 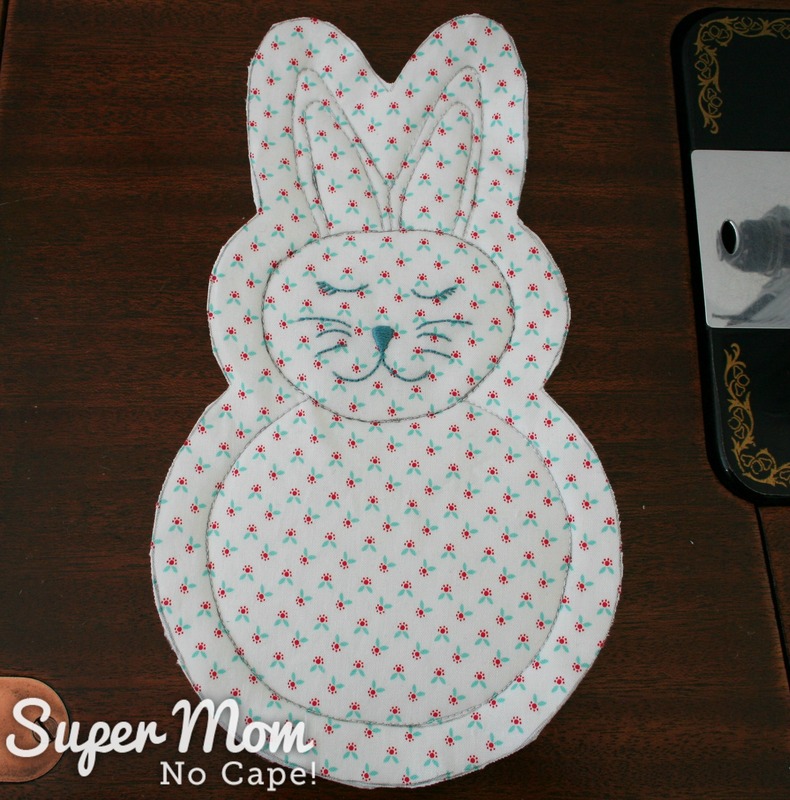 The bunnies would be perfect for babies to snuggle with and to add to a diaper bag. these are adorable and you make them look so easy! Thank you Kim! They really are easy to make. Thank you for your sweet comment Lori! Supper adorable! I love the bunny faces! Wondering where bunny pattern is? Clicked like it said..doesn’t give the pattern tho. 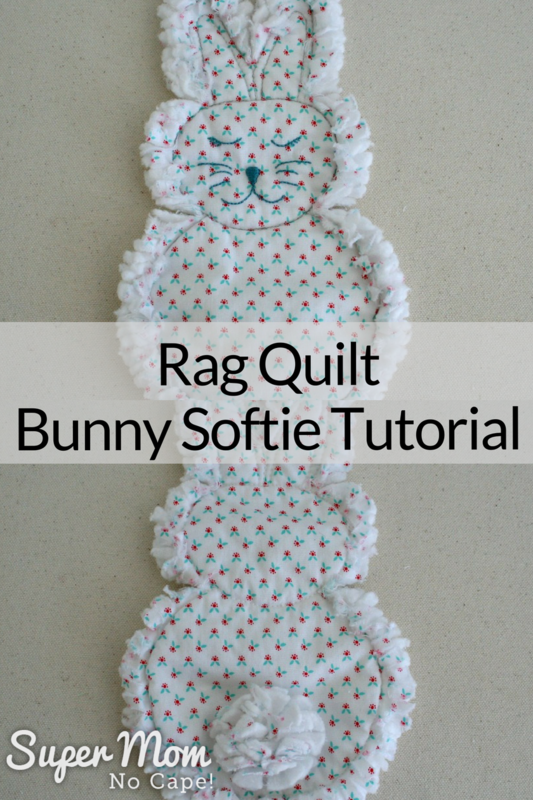 When you click on the blue link that says “RAG QUILT BUNNY SOFTIE TUTORIAL AND PATTERN” a pop up window should appear for you to subscribe. Enter your email address and then within a short time, you should receive an email with the link to download the pdf of the tutuorial and the pattern. I cannot find the pattern. I’ve looked and looked for the blue link and can’t find it. Any way I can get this pattern? Would love to make some of these. So cute! 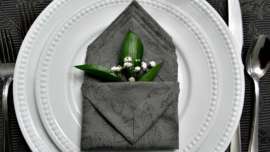 I sew a lot for charities and these will be quick and easy to make. Wondering if you’ve posted the other animal shaped patterns you mentioned in your post. This is a great tutorial! Thank you for sharing it. 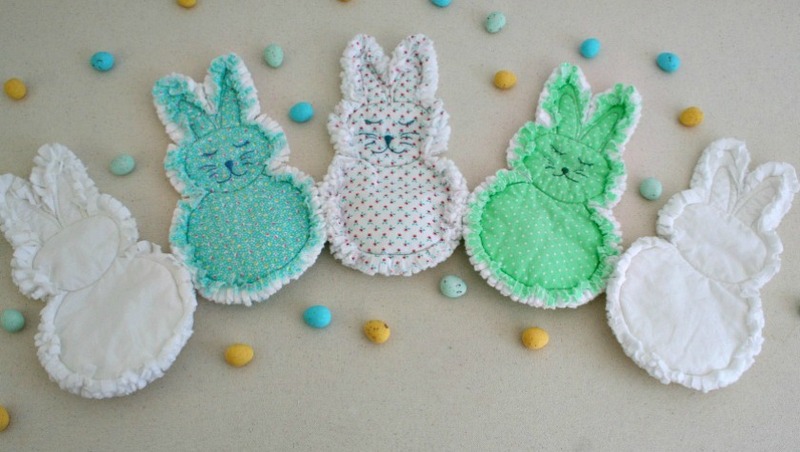 Want to make these with some folks for a sewing day. This is adorable and it just so happens I have a baby shower coming up in two weeks. Perfect timing. Thank you. I’m so glad you like them Linda. 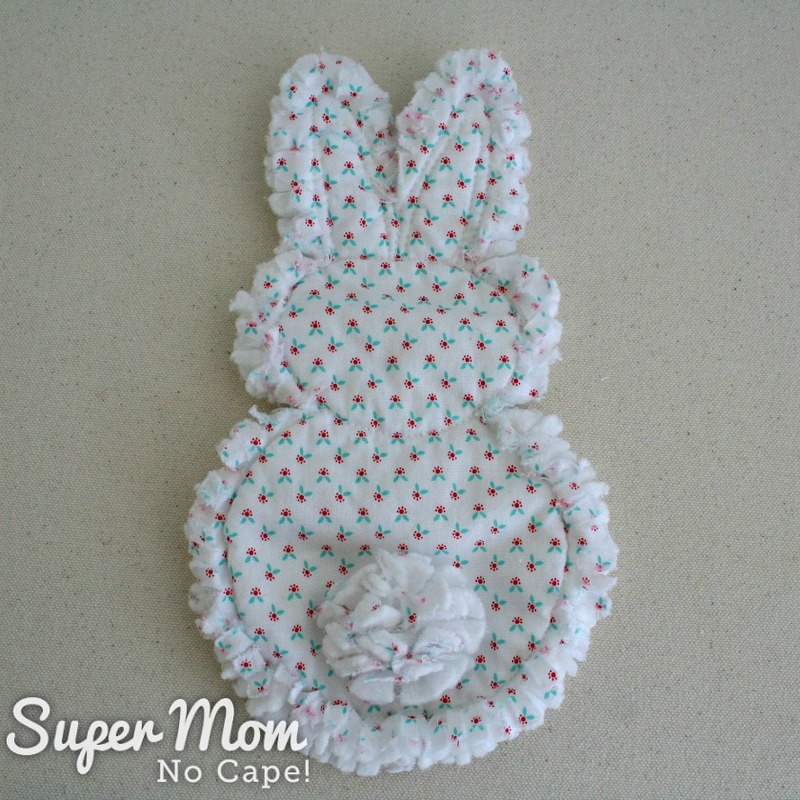 A rag quilt bunny will be the perfect baby shower gift! These are so precious. I just got to try making one. Hope it turns out as half as pretty as yours. I don’t embroider, but may check out a YouTube video. Could you give me the approximate completed size? If I missed it in your explanation, I apologize for asking. Love this bunny!!! Thanks for sharing! This may be a super dumb question, but would polyester or a blended batting work? I feel like not, but I’m not really familiar with battings. It’s not a dumb question at all Ashleigh. The original rag bears that I made for my friend years and years ago were made with polyester batting, so it would work. I used what I had on hand at the time. The only thing that might come out different is I don’t think they’d get the same raggedy edges after washing. So if you don’t have cotton batting scraps but do have polyester batting scraps, maybe do a test one without the embroidery and see if you like that look. Unfortunately not. I’m still working on the patterns for the other animals. I made a bunny for our first granddaughter and not only can she hold it all by herself (I visited when she was almost 5 months old) my daughter LOVES it for catching all of the baby’s drool! She has asked me to make more as it gets so soaking wet, she has to lay it out to dry—and then Bailey doesn’t have her sweet bunny. Did you ever post the other patterns you mentioned (puppy, kitten, etc.?) We have another grandbaby on the way and a great niece/nephew, so I want to make more—these are not only very cute, but very useful and so much cuter for the baby and mom to carry than a burpcloth or spitcloth! Unfortunately the patterns for the other animals are still a work in progress. Love the bunny, thank you!